Dinkums has been providing printing and scanning services to the architectural, construction and engineering industry for many years, offering quick, accurate and convenient plan printing and other services. We provide a range of print services including B&W and Colour line drawings, including with rendering in A2, A1, B1 and A0 sizes in any quantity you require. We also offer hot and cold laminating services at competitive rates. We use the latest technology equipment that will deliver quality prints, quickly, including the Xerox Docuwide ‘memjet’ printer that can print an amazing 7 A0 prints per minute and the Epson Surecolor T7200 for fine detail prints. 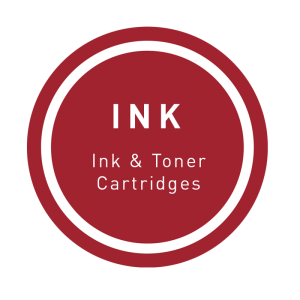 All of our printers are inkjet and deliver high quality, detailed plan and CAD prints and scanning up to 44”(1117mm) in width, easily accommodating up to A0 size. Our commitment to you is to not only to provide exceptional quality but also a fast turn-around. In fact, we’re confident we can produce any job in a maximum of 2 hours from receiving final artwork files.as well as a free delivery service to local customers. When you need quality and you need it quick, contact us! And remember, we’re here 7 days a week. Our product range consist of provides detailed plan, line or CAD drawing prints in typical A or B series sizing – A2, A1, B1 and A0. Otherwise, prints can be produced in custom sizes to suit your requirement. We can provide scanning services for up to A0 size prints in 600dpi resolution quality. Our most common paper product is 80gsm bond paper, available in ‘A’ series sizes. We also stock a range of heavy weight matt paper in 140gsm or 160gsm as required. We used the best brands on the market that provide the best quality available, regularly updating our equipment to ensure we meet our objective on being able to provide speed and detailed quality, and where you need it, sharp, clear colours. The Xerox Docuwide, right, can produce detailed prints at a rate of 7 A0’s per minute and can handle large jobs with short deadlines easily. The Epson Surecolor T7200 is ideal for fine detail prints and has A0+ scanning capabilities up to 600dpi. Our print finishing services include booklet making, hot & cold laminating, cello-sheening, folding, collating, copying, large and small format scanning, cutting and hole punching. We can also mount your prints on a 5mm foam core board or for canvas prints with timber stretchers bars.